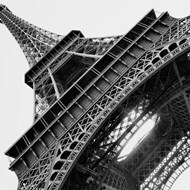 French architecture art is a highly diverse category of work that includes both photographic and canvas mediums. 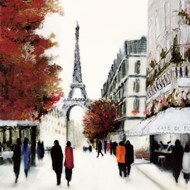 These works generally depict some famous aspect of France, such as the Arc De Triomphe or the Eiffel Tower although modern techniques have allowed more variety in this building art category. 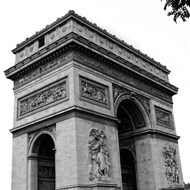 The most well-known works of French architecture art is seen in photographic monument art. 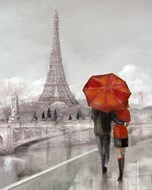 These works are generally done in black and white and feature various infamous aspects of the City of Love. 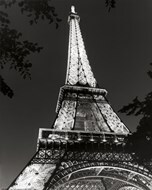 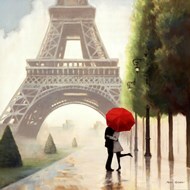 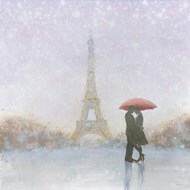 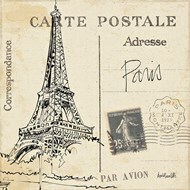 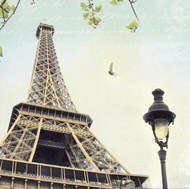 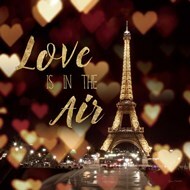 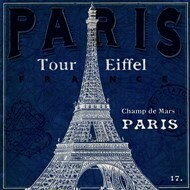 Eiffel tower prints, in particular, are popular with this art category and display a surprising variety of stylistic range considering that the same subject is used. 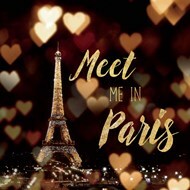 For example, works like 'Paris' by Todd Williams is a photographic monument artwork that is given vintage flair while 'La Tour Eiffel' appeals more to historical event enthusiasts. 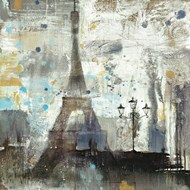 As modern art techniques have expanded, the unique cultural offerings of France have tempted many artists. 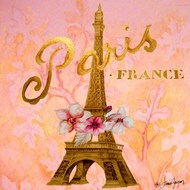 Many retro and vintage artists have used aspects of French architecture art in their work. 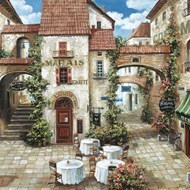 However, these aren't the only artists to show interest in this diverse category of architecture artwork, and many other techniques are used to portray one of the most fascinating cities in the world. 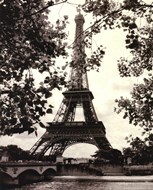 Although many of the architecture pictures of France feature historical monuments, there are other choices available. 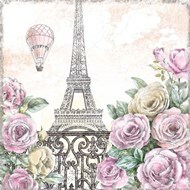 Many artists choose to simply display Paris for the graceful, multi-faceted place that it is and allow the city to speak for itself. 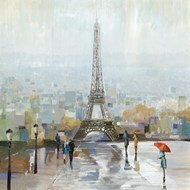 These works, like 'Paris' by Sabri Irmak, are unique and innovative options for French architecture art.